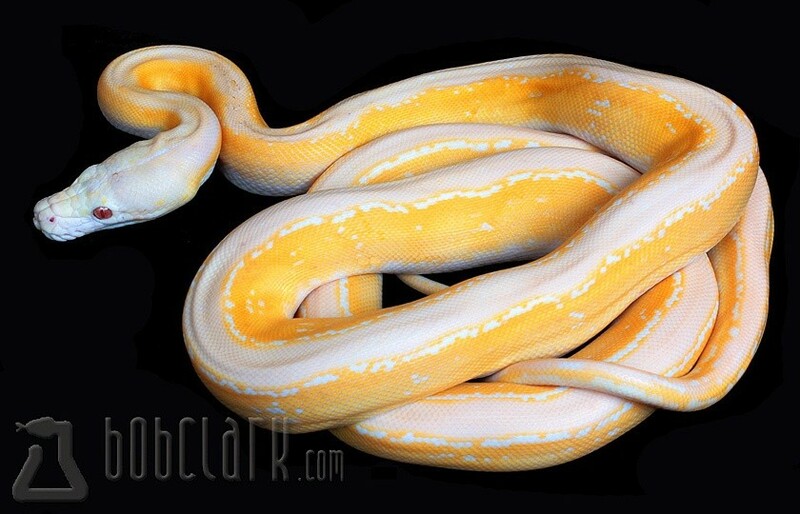 One of the most exciting new morphs in recent years is the motley trait. 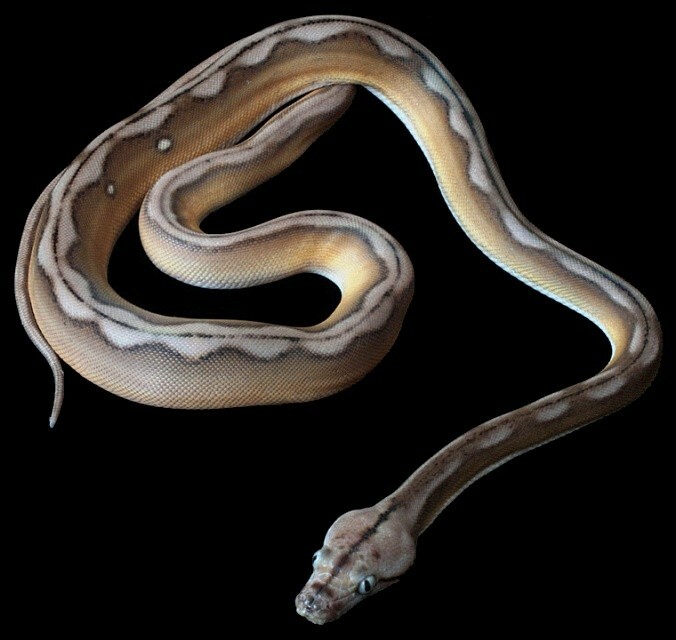 Snakes of this morph have very reduced side patterns and the dorsal pattern, at one extreme, may be two longitudinal parallel lines or at the other, perfect, dorsally centered circles. 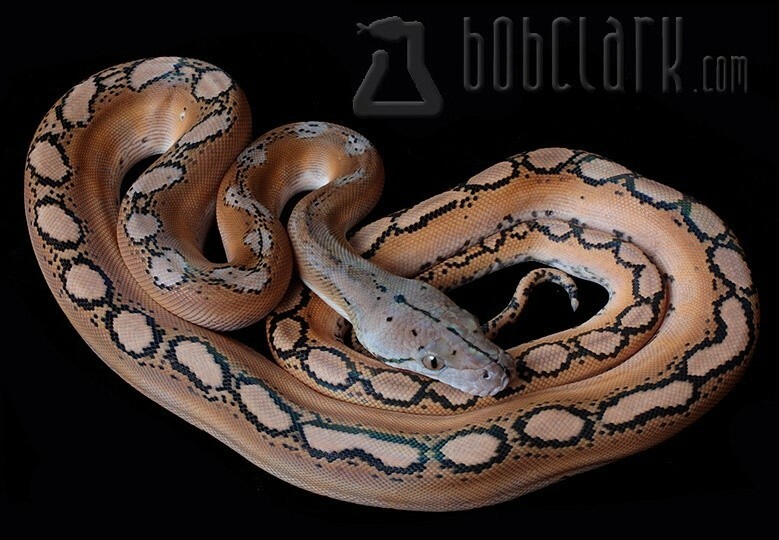 This is a dominant mutation that occurred spontaneously in my collection from a female reticulated python that was produced here from the first breeding of the original albino retic. It's an original mutation and I've never seen another one produced in captivity or in the wild. The first motley, founder of the entire motley population, was also an albino. I didn't produce motleys with normal coloration until the second year of breeding. As always, any new mutation has the potential to combine with existing traits. There is always a rush to produce these combos and each cross holds the promise of something exciting and different. 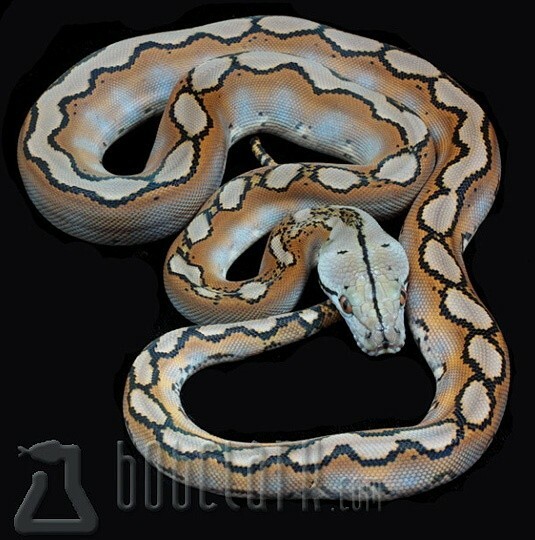 The albino motleys have intense orange coloration on the sides and almost translucent white heads. I've also made combinations with the tiger, fire, sunfire and citron traits. To date we've only seen the heterozygous form of the trait and I hope to find out if there will be a different appearance of the homozygous (super) form later this season.